Question of the Week: What’s the last lip product you applied? Answer: As I’m scheduling this post a couple of days in advance, I’m sitting here wearing the delicious RMK W Crayon & Gloss Lips that was such an unexpected and happy discovery. And each time I pass the mirror, I swear it’s looking better the longer it wears! Pink Sith – wonders if you can smell that? What is it? It’s Spring, and she has 8 great recommendations for a Spring fragrance. Prime Beauty – checks out the new Japonesque Color Cosmetics line. Does it live up to the fantastic reputation of the brush line? Find out! Phyrra – shares her favorite coral and peach lip products! Find a new favorite to love. Clumps of Mascara – adores butter LONDON. But how awesome (or not so awesome) are their products outside of nail polishes? EauMG – have you tried the newest addition to the Thierry Mugler fragrance family? The new Alien has had a makeover and she’s looking great! Gouldylox Reviews – I don’t think of myself as a warm or a cool person normally, but this warm Monarch palette from Kat Von D is one of my new favorites! 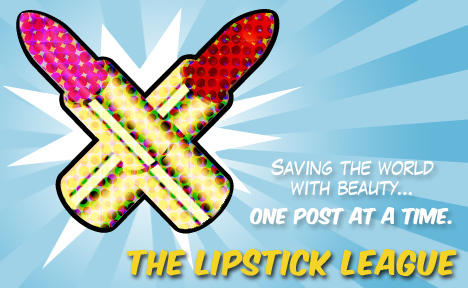 Lipglossiping – celebrates the discovery of a fabulous mineral foundation for those of us with a deathly-pale complexion! My Beauty Bunny – Bunnies, bunnies, bunnies! My Beauty Bunny celebrated its 5 year anniversary with a day at the park with the Bunny World Foundation, and oh yea, lots of cute, fuzzy bunnies! Nouveau Cheap – The new Wet n Wild Summer 2014 Limited Edition Bronzer & Blushes have landed and boy are they adorable! Guest Post of the Week, as chosen by Pink Sith – Obsessed with high end makeup? Want lots of pictures and swatches? Yeah, you needs you some Ommorphia Beauty Bar! Eugenia, who writes the blog from Montreal, Quebec, always tempts me with products to lust after. For example, this week she is enticing me with YSL Baby Doll Kiss & Blush! Check it out…but keep your wallet out of sight! The Big Five Oh Oh! Win it! Celebrity Secrets Tan in a Can!